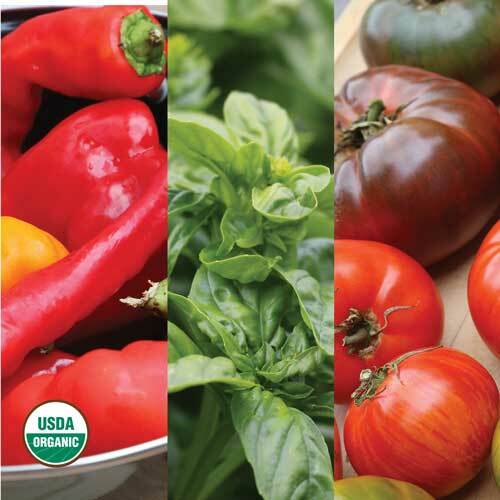 This culinary staple is rarely propagated from seeds. 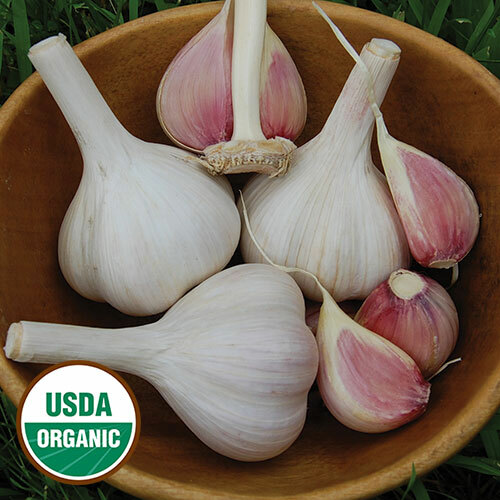 Instead a few aromatic bulbs of garlic are saved from the harvest and replanted year after year. Plant garlic in the fall, usually between September 15 and November 30, after the first light frost of the year. Keep bulbs intact until right before planting. 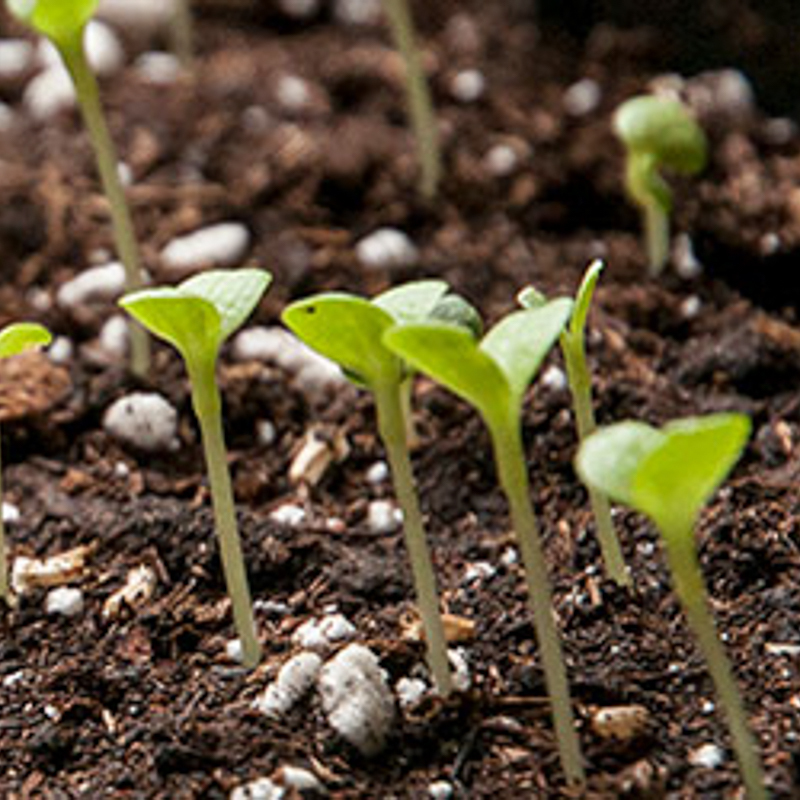 Break bulbs into individual cloves and plant the largest, healthiest looking cloves with the basal plate - the point where the cloves attached to the bulb - down and the pointed shoot-end up, 6-8 inches apart. Cover with 2 inches of soil and a 6-inch layer of mulch. Cloves may begin to sprout through the mulch in 4-8 weeks, depending on the variety and the weather conditions in your region. Do not be concerned. The plants may suffer some frost or a light freeze and still survive the weather. Garlic plants must be vernalized (overwintered) in order for their bulbs to develop. Do not remove mulch in the spring; it helps control weeds, preserve moisture and provides nutrients as it decomposes. 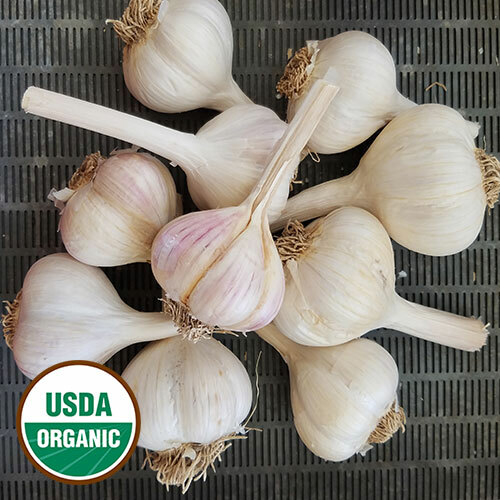 When garlic shoots begin to emerge in early spring, ensure even soil moisture by supplying 1 inch of water per week throughout the growing season. Garlic does not compete well with weeds so keep weeds under control early to ensure a bountiful harvest. Scapes are the curly flower stems that often form as the garlic matures. Cut or break them off after they are 10 inches long and reserve them for eating. 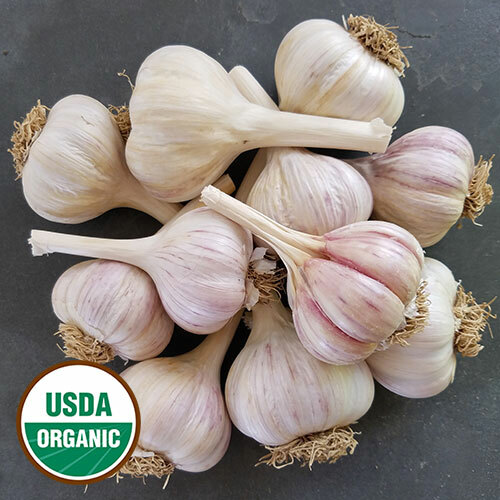 Garlic can suffer damage from nematodes, botrytis rot, and white rot. However, the biggest threat to garlic is weeds. Keep your garlic bed clean and make sure to plant garlic in well-fertilized, loose soil. Harvest after 3 or 4 leaves have died back and there are still 5 or 6 green leaves remaining on the plant - sometime in June or July depending on the year and your climate. Do not wait too long or the bulbs will begin to separate in the ground. Loosen the soil with a shovel or pitchfork and then dig the garlic carefully. Do not pull the stalk or it will separate from the bulb. Gently brush most of the dirt off. 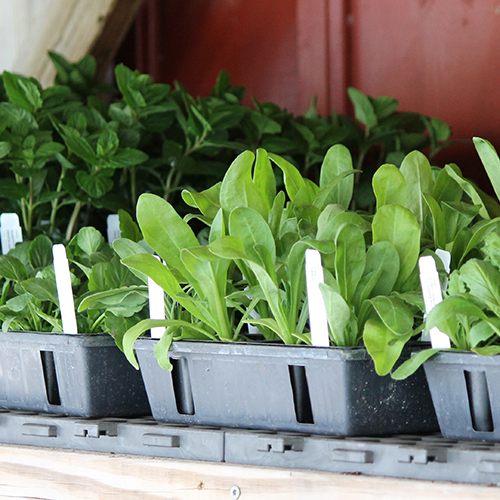 Tie plants in a bundle of 6-8 plants and hang in a shaded, dry, well-ventilated shed or garage. Leave plants hanging for 4-6 weeks so that bulbs can cure. Garlic is a good complement to many dishes, and is often used in stir-fries and Italian dishes. After thoroughly drying, trim off the roots and cut the stalks off about 1 ½ inches from the bulb. Store in net bags. 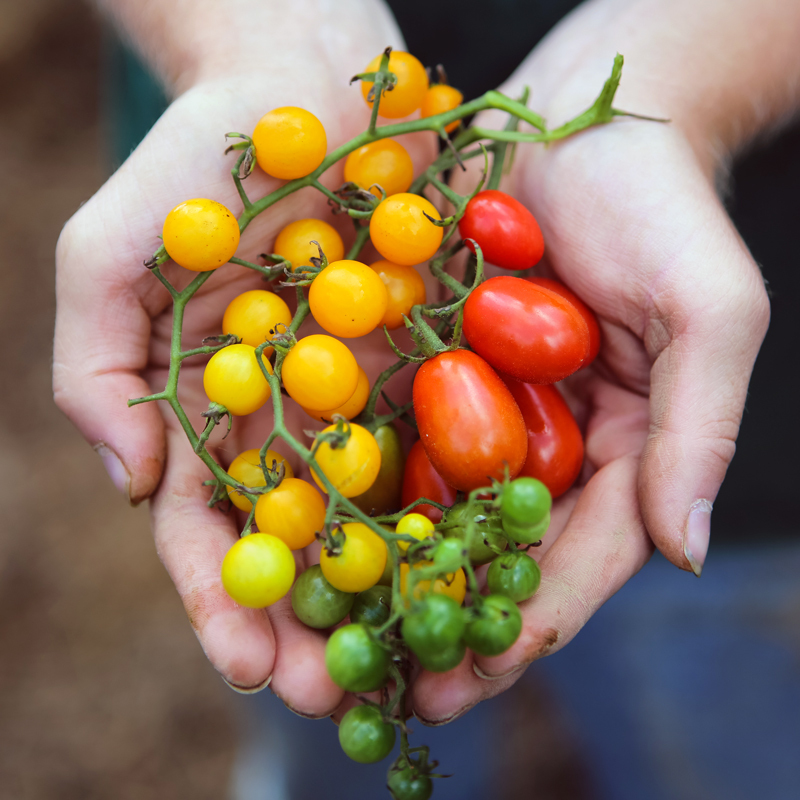 For optimum storage, hang in an area with 45-55 percent humidity and a temperature of 50-70 degrees F. Hold back your nicest bulbs for replanting. Garlic is vegetatively propagated rather than grown from seeds. 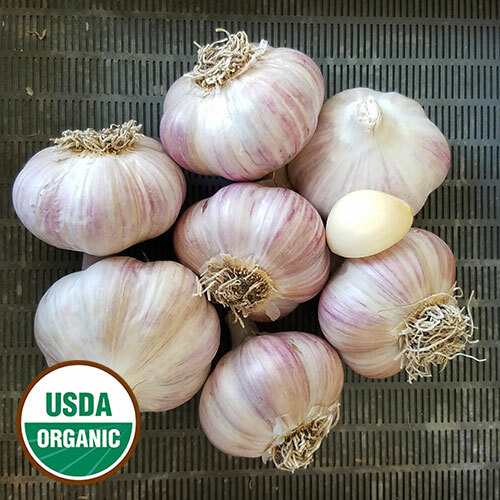 To regrow garlic, keep bulbs intact until no more than 1-2 days before replanting, then simply pull apart garlic bulbs and plant individual cloves as described above. 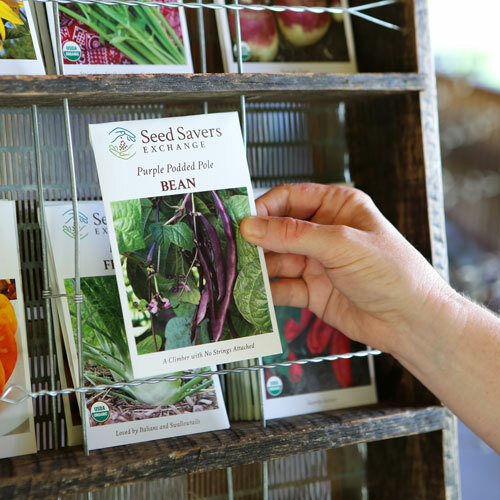 Some garlic varieties will produce seeds if scapes are not removed from the plants, but these seeds will not be true to type.